If there’s one thing we love, it’s perusing smoothie recipes on Pinterest. With so many different variations, we can never get bored. But do we? In an ideal world, we’d enjoy a new concoction every morning. But who has the time and money for all those ingredients? Rebecca Sadek, the co-founder of Urban Detox Club, made it simple for us with eight ingredients that can be mix and matched for five nutritious recipes to start off our mornings right. 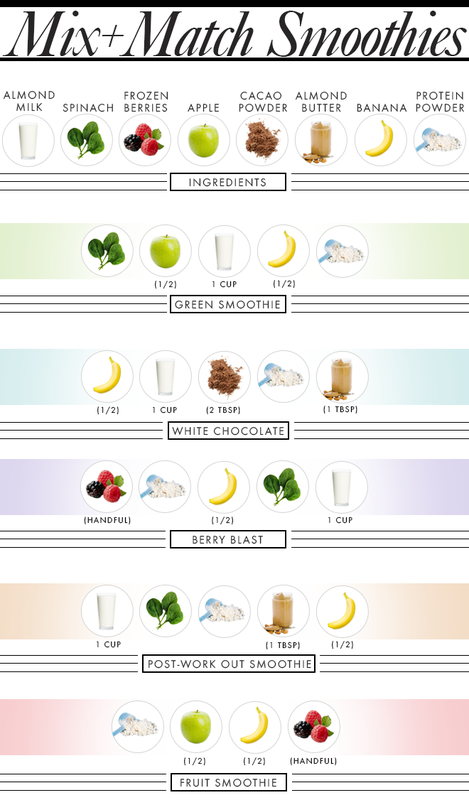 May we never tire of a smoothie recipe again. “Cacao is delicious and also has tremendous nutritional benefits. It is great for your heart!” A healthier alternative to cocoa powder, it’s a source of fiber, magnesium and iron, without packing in the fat.